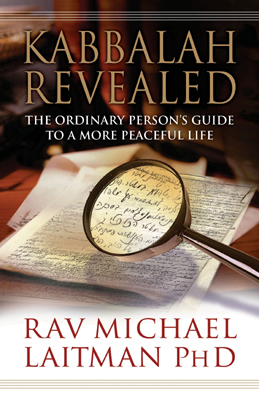 A new book by Dr. Michael Laitman, "Kabbalah Revealed: The Ordinary Person's Guide to a More Peaceful Life" ($4.95 on http://www.kabbalahbooks.info), reveals how far the pursuit of happiness has taken us astray in this day and age. Purchases made on the newly launched http://www.kabbalahbooks.info site include a free CD containing the audio version of "Attaining The Worlds Beyond." At a time when the term 'Kabbalah' has become synonymous with fame, fortune and glory, a new book by Dr. Michael Laitman, "Kabbalah Revealed: The Ordinary Person's Guide to a More Peaceful Life" ($4.95 on http://www.kabbalahbooks.info), reveals how far the pursuit of happiness has taken us astray in this day and age. Kabbalah Revealed describes in plain English how a rupture that occurred between humanity and nature is the source of all our problems, how this disharmony with nature affects our daily lives, and what needs to be done to mend it both on a personal and collective level. These concepts are based on authentic Kabbalistic sources that were passed down through the ages until they were ready to be revealed to humanity as a whole. That time has arrived. "Kabbalah became hidden about 2,000 years ago. The reason was simple--there was no demand for it. Since that time, humanity has occupied itself with developing monotheistic religions, and later on, science. Both were created to answer man's most fundamental questions: "What is our place in the world, in the universe?" What is the purpose of our existence?" In other words, "Why were we born?" "But today, more than ever before, many people feel that what has worked for 2,000 years no longer meets their needs. The answers provided by religion and science no longer satisfy them. These people are looking elsewhere for answers to the most basic questions about the purpose of life. They turn to Eastern teachings, fortune-telling, magic and mysticism. And some turn to Kabbalah. Because Kabbalah was formulated to answer these fundamental questions, the answers it provides are directly related to them. By rediscovering ancient answers about the meaning of life, we are literally mending the rupture between humanity and Nature that occurred when we turned away from Kabbalah and toward philosophy." Do not expect to read about mansions, mineral water or how Kabbalah can help your business or marriage. Kabbalah Revealed is just what its title promises, the path to genuine inner peace and fulfillment. 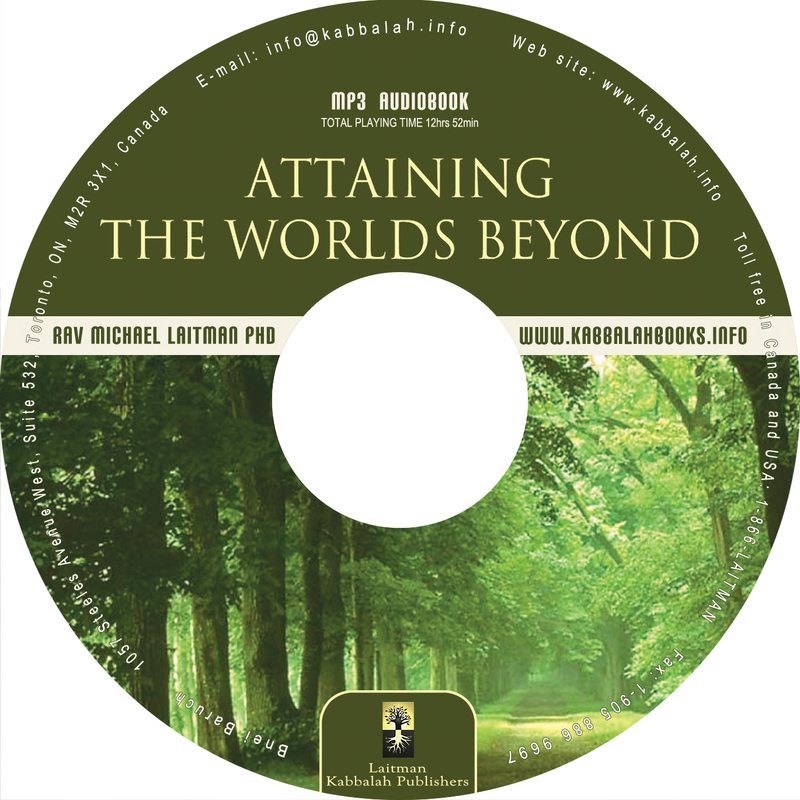 Purchases made on the newly launched http://www.kabbalahbooks.info site include a free CD containing the audio version of "Attaining The Worlds Beyond," that is also available at http://www.kabbalah.info/engkab/worlds_beyond.htm. Dr. Michael Laitman is the founder of http://www.kabbalah.info, the largest source of free spiritual content on the internet in over 20 languages. He holds a PhD in Philosophy, an MS in Medical Cybernetics and is a professor in Ontology and the Theory of Knowledge. A member of the World Wisdom Council, in recent years Laitman has become a sought after lecturer in academic circles in the US and Europe. He is the author of over thirty published books in nine different languages about the difficult global problems and general crisis humanity is facing, based on his knowledge of ancient wisdoms that Kabbalah is a part of.